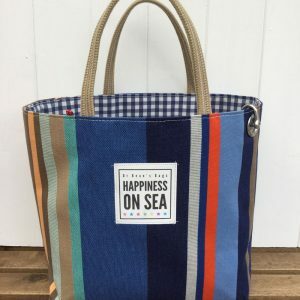 A sturdy natural canvas bag with olive canvas base and green checked lining. Complete with eyelet and shackle, jute handles. Gardeners unite! 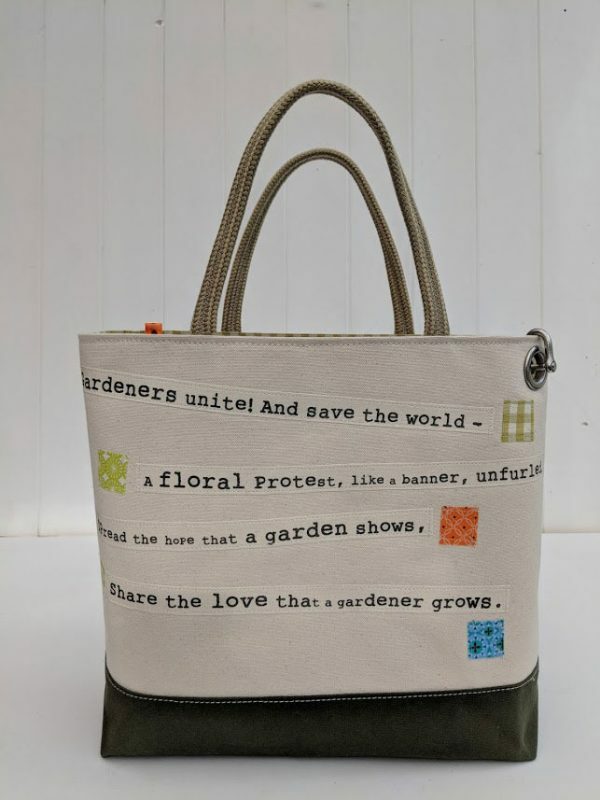 And save the world – A floral protest, like a banner, unfurled, spread the hope that a garden shows, share the love that a gardener grows. Gardeners unite! 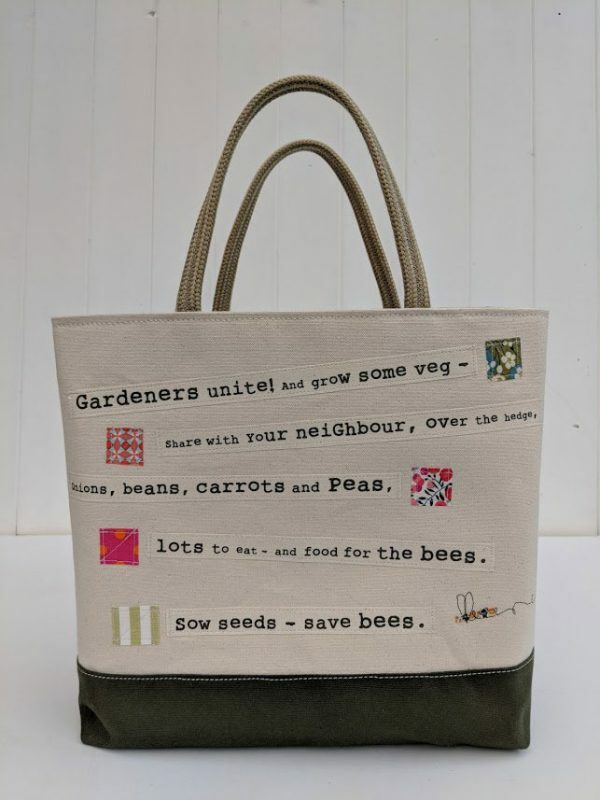 And grow some veg – share with your neighbour, over the hedge, onions, beans, carrots and peas, lots to eat – and food for the bees. Sow seeds – save bees.